The media day broadcast (which I may suggest was another tremendously well managed event) mentioned a scrimmage last night. Would love to get some scoop, but WF runs a tight ship. The days of open practice are pretty much gone. Media can only shoot the last 30 minutes of the practice, and some practices are 100% closed to the media. Fans are outright banned. There are probably some exceptions, but those that can get in, aren’t saying much. Hopefully the media department post a report online. Did y'all consider that in the good old days, the average "fan" (or, ya know, staff member from a future opponent) attending our scrimmages or practices didn't have a high definition video camera in his pocket? It was one thing for a scout to write down a note or two about something he saw, it's another to bring back high def video of it. And I doubt we're gonna confiscate phones at the gate, so... no fans allowed. That said, the reports here from real fans always painted a (typically far-too-) rosy picture of how we looked, so they were usually not worth much other than just giving everyone something to talk about and filling the slow dog days of August. I do remember those rosy projections. We (me) are all just itching for info. I used to like hearing about the battles at positions and to see if any new faces (and in De'Andre Williams' case - old faces) are making an impact. Big example: Will we have a new punter this year? No one has said a thing, but the new guy we brought in was supposed to be very good and we need improvement there. Who are the twos at DL? Some people got very optimistic. So did I but I never got carried away to the point of predicting a 9 win season during the Toledo era. The two things I got most carried away with were JP Losman’s first scrimmage and a TE whose name escapes me....I’ll get it later...boom! Gabe Ratcliff. He always looked like a primary target but never did that in games though he played a lot and caught a few passes. If I saw it all over again I’d get it wrong again. As for JP I’m not the only person who missed that he was somehow less than the sum of his parts. I miss being able to catch a scrimmage but I can put up with not doing so. I do think that one open scrimmage in spring and fall could be used to get the local fans feeling more connected. There is a short in-house music video of the scrimmage. All I noticed were two plays where Jaylon Monroe had tight coverage on the sideline...he will win the Jim Thorpe Award this year. The one who stands out to me was Peyton Jason. I loved those reports and the fact they were optimistic was a plus in my book. If pre-season isn't a time for a fan to be optimistic then when is it? Those posters who became upset because things didn't turn out as hoped by scrimmage fan reports were the ones with the problem, IMO. and yes, still so many questions beyond the obvious ones. This, and I have a list of names. We're undefeated til we're not! After watching scrimmages I’d always be optimistic except for the OLine. I don’t know if there was ever a scrimmage that I didn’t leave thinking “OL will still be a problem”. I hope those days are gone! They did announce the whole spring scrimmage that photography was not allowed. The former media guy for FB used to walk the stands telling people to put their cameras away. The problem is the optimism usually last for three to four years and we are back to year one two years too late. We needed to cut the cord a lot earlier in many of these instances. Our contracts with these coaches need to be structured with this in mind. How many coaches have we had in the past twenty years. The need to win is now and we cannot wait the usual cycle. And fans should be able to discuss this without insult. Rick Dickson is not the AD any longer, and if you turn this thread into a discussion of Jewett I'll reach through the internet and slap you. Long arms still coming in handy, huh? Pete, you are ruining all the fun - party pooper! No one in this group deserved more than two to three years based on record and recruiting. If you are into numbers, we have had 11 football coaches since 1980 (that is counting Mark Hutson) and 4 basketball coaches since 2000. 6 out of 8 hired and/or kept too long by RD/SC. And if you want to stick your chin out for that slap, realize you said two to three years and it's been two, so you can't complain too much yet. However, that whole concept is ridiculous, only SEC schools fire coaches after two years. Tulane isn't in that realm of foolishness. Did you really keep names? Why? 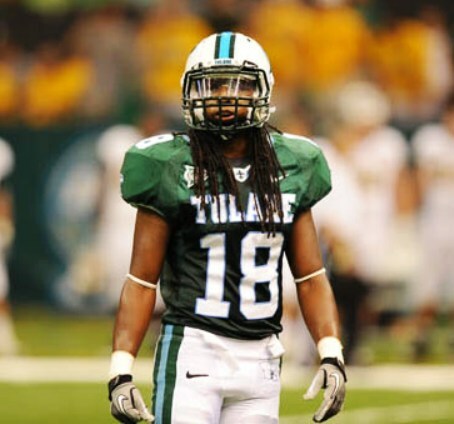 Most of the people I have talked to over the years just joked about those reports knowing it was Tulane vs. Tulane. Most people are knowledgeable enough to know when we can really feel optimistic. Look at the results after years 2 and 3. Look at the recruiting, especially after year one. Davis, Toledo, CJ, English, Finney, and Conroy all fit that profile. Cutting your losses after two years is not foolish. It is done to CEO’s, CFO’s, etc., everyday over a wide range of industries. The RD/SC era obviously contributed to this, but there is nothing wrong with admitting your mistakes. Who are you referring to in the SEC (football only)? Arkansas kept Biliema for five long agonizing years. Butch Jones was at UT for 4 years. The only guy I can think of is Derek Dooley who deserved to go after a couple of years. Last edited by tjtlja on Wed Aug 08, 2018 10:28 pm, edited 1 time in total. Shh he doesn't do well with salient facts.